Mercedes’ largest SUV, the Mercedes GL Class is actually built in Tuscaloosa, Alabama. But don’t let the American manufacturing facility fool you – the iconic German design, engineering and luxury are right there, wrapped into a very roomy, incredibly well-built sport utility vehicle. 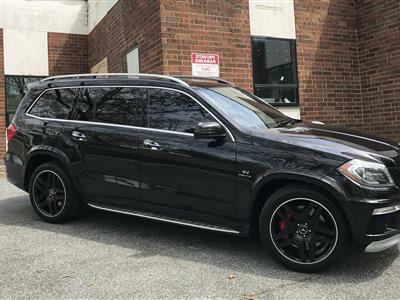 Swapalease.com has Mercedes GL Class lease deals in our online database, where you’ll find leaseholders looking to exit their contracts and let you take over. You’re sure to find great Mercedes GL Class lease deals in our online lease trading marketplace – but if the SUV you want isn’t there yet, let us know and we will notify you when we have it available. The Mercedes Benz GL Class is available in three option: GL350 Bluetec, GL450 and top-of-the-line GL550. All models offer plenty of room for seven passengers and more than ample cargo space. Solid all-weather performance and towing ability are also part of the package. Three model choices – the GL450, the GL550, and the GL350 Bluetec – offer plenty of options on high-powered engines. With standard features like heated and power front seats, dual climate control and a power-folding third row, as well as options too plentiful to mention, everything your family needs is right here in the Mercedes GL Class.